I was not a reader in elementary school. I was not a reader in high school. I was not a reader in college. I did not become a reader until my early adult years, thanks to my very 1st book group. I'm trying to avoid the same fate for my daughter, who has tendencies like her mother. So, with the help of her 3rd grade teacher, I've decided to start a book group for all third grade girls and their mothers. I wish something like this had been available to me when I was her age. I think I would have discovered the joy of reading much sooner. There has been lots of buzz on several book blogs about the classic series Betsy-Tacy. 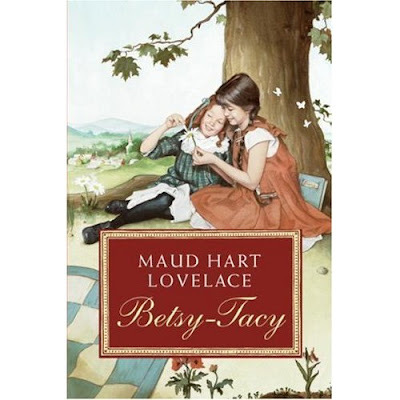 With that in mind, we have chosen for our book selection, the 1st in the series, Betsy-Tacy, by Maud Hart Lovelace. I was totally unfamiliar with this series, which was 1st published in the 1940s. There is a book challenge over at Library Hospital if anyone is interested. I'm really excited about this opportunity. I've already received tons of positive feedback from the other mothers. And my daughter is excited too, which is the most important thing. My daughter and I read the first five and loved them! I think these books are just wonderful for young girls! So much fun and such good values! Might have to incorporate this into my daughters reading list. There is a good book, or so I've been told, by a teacher around here called 'the book whisperer'. Known around here to get all kids to become book lovers. This sounds like a great way to involve your daughter to read. I wished I had been able to do this when Sarah was younger. Instead I would scrounge up loose change and dollar bills ....bribery with money always worked!! She read more classics by the time she was in the fifth grade than most people read in a lifetime, and she had some spending money to boot!!! 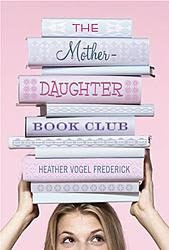 Book club would have been so much cheaper and acheived the same results!!! Wonderful idea. I hope lots of moms and daughters sign up.